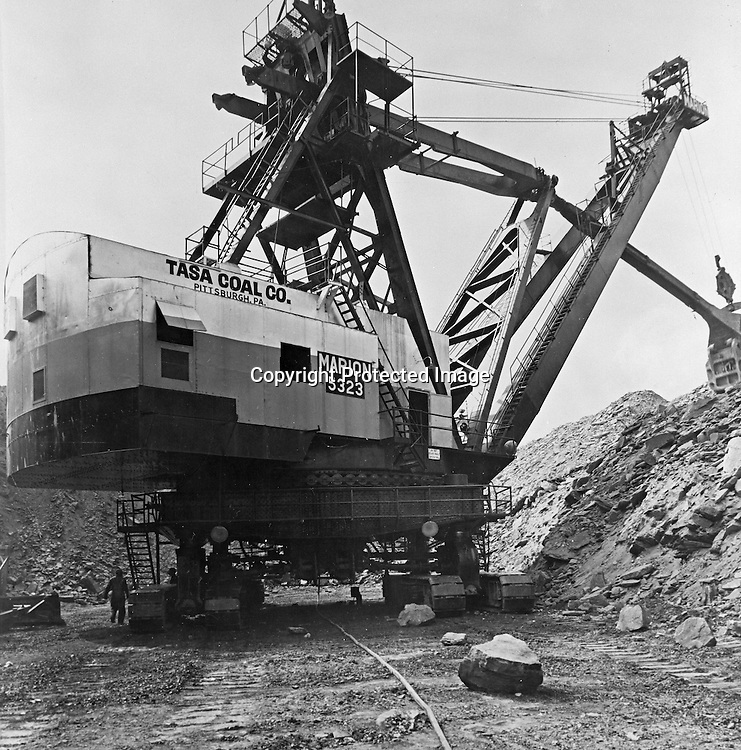 Zelienople, PA: View of a Tasa Coal Company's Marion Power Shovel - 1956. - The Tasa Coal Co. operated its Mine No. 8 in this area. It was a strip mine operation due to the thinness of the area coal seams.